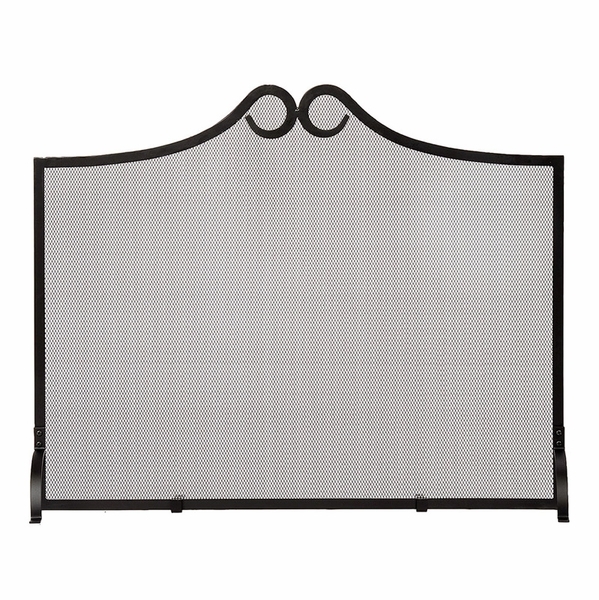 Whether you light a fire in your fireplace on a daily basis, or simply use the hearth and mantel as a knick-knack display, this fireplace screen is a beautiful addition to your home. While a fire is burning it will keep you and your family safe from flying sparks. When there's no fire, it simply adds an elegant touch to your living room decor! The center panel measures 38" wide and 31" high at the highest point in the center. What color is the mesh of this Minuteman X800410 black fireplace screen? Per the manufacturer, the mesh on this screen is in fact black. This item is excellent, and the service was exceptional. I will definitely shop with this company again, since I really like their products. I received my order quite quickly with very good service. I was pleased with the price, and the product is well-built and attractive. I am very happy with my purchase. This product does a great job keeping sparks from escaping into the room. I really like it and think of it as my metal firefighter. This screen is a good choice for individuals looking for a one-piece flat screen. I did notice that the balance leg is rather loose, but that is the only problem I have had.